It’s a special day for Bashful Candy Stripe Bunny. He’s the first of his kind - a pure white Bashful bunny! 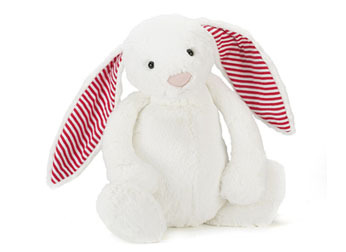 To go with his yummy meringue-white fur, this bunny’s got red jersey stripes in his ears.